Mint condition, well designed one-bedroom apartment available at The Manchester Residences. 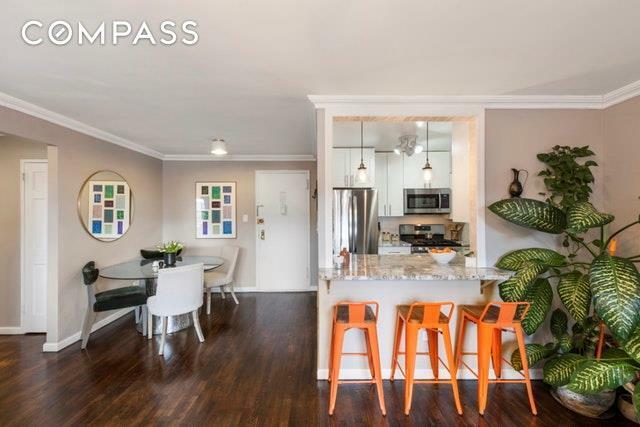 This spacious 1bed/1bath apartment offers ample light, with south and west exposures through newly upgraded oversized windows. The open living and dining floor plan features a stunning kitchen outfitted with custom cabinetry, sympathy granite countertop, crafted white subway tile backsplash, charcoal porcelain floors and stainless steel appliances. Finishes include crown and base molding and solid dark oak floors. The peaceful & bright bedroom can accommodate a king sized bed and plenty of additional furniture. 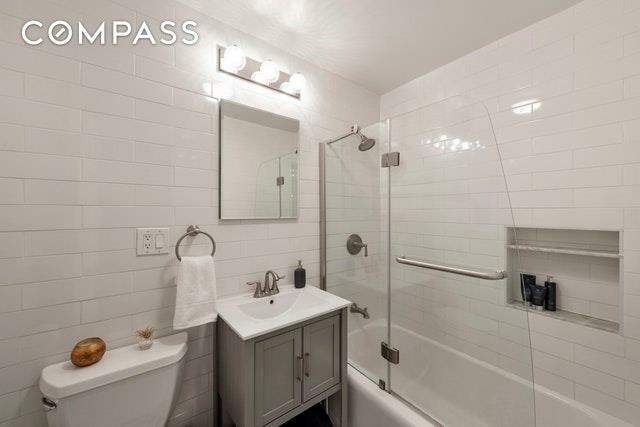 The pristine bathroom features timeless Carrara hexagon marble floor, classic white subway tiles, Kohler fixtures and a deep soaking tub with glass-enclosed shower. Abundant storage in this home with five custom closets, including two walk-ins!The Manchester is perfectly located where lively Kensington meets historic Ditmas Park. This dynamic location offers a mix of culture, entertainment and recreation. 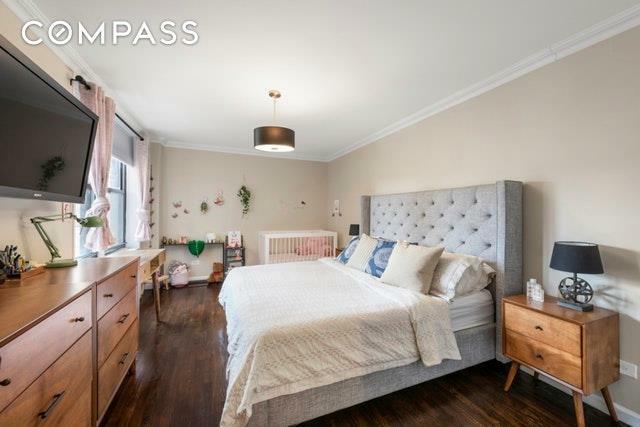 Enjoy close proximity to Prospect Park, and northern Brooklyn neighborhoods as well as a short subway ride to Manhattan. Experience the year round farmers market on Cortelyou Road, gourmet coffee shops, natural and organic supermarkets, yoga and Pilates studios, and vibrant restaurant and bar scenes. Located in a well maintained co-op, this elevator building is near the B/Q/F/G trains. 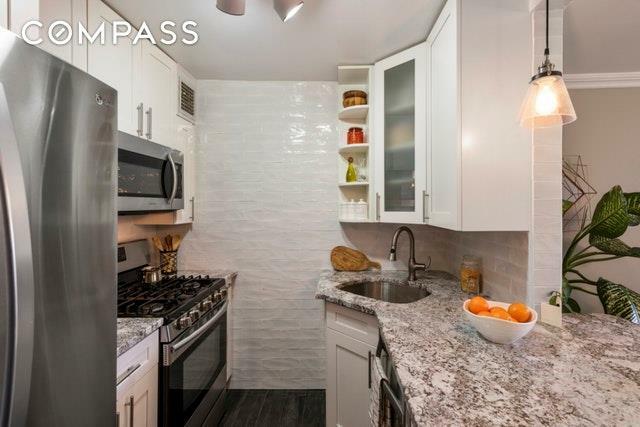 The building has a virtual doorman, live-in super, a massive landscaped garden, newly renovated indoor parking garage, laundry room, bike ($8/month) & private storage ($69/month). Cats are welcome!